This year to celebrate Heineken’s 140th anniversary, the beer brand has thrown open its archives as part of the Remix our Future campaign. 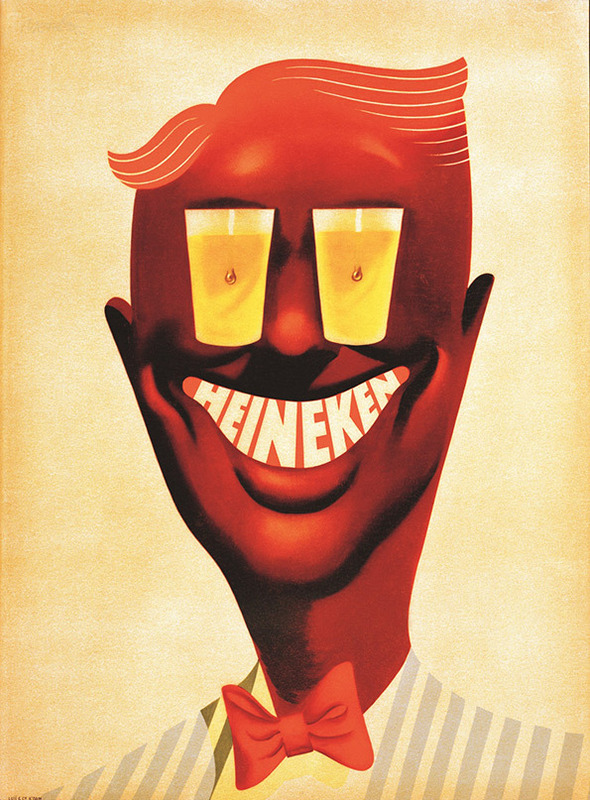 People are challenged to take one of the beer’s old adverts and create a new version ripe for the 21st Century, and while some of the efforts so far are pretty impressive, the real joy from a design point of view comes from the old visuals themselves. From weird illustrations to slightly sexist 1960s affairs, muted arty efforts to brash ads for the 1980s US market, it’s a tremendous collection of images and an interesting study in how a brand’s visual languages evolves over time.